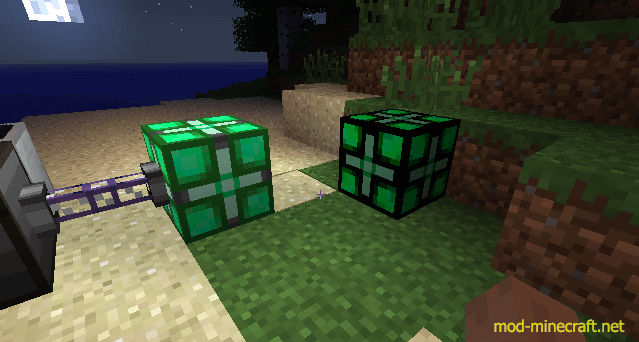 AE Lights is a Forge Mod that add Light Blocks to Minecraft that run off the Applied Energistics network. 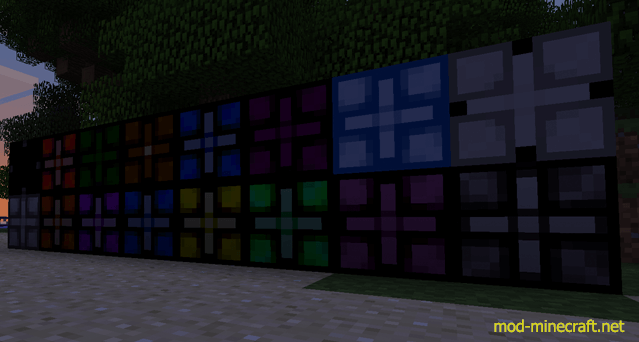 AE Lights comes in all 16 Minecraft Colors, and each light uses 2 AE/t which is around 1 EU/t. The lights connect directly to any colored AE Cable and lights touching other lights will extend the AE network just like other AE Machines. When adding a AE Light to your network, it is just like adding a machine, it will cause a reboot of your AE network, so make sure you dont have anything crafting. Currently there is no way to turn off the lights other than to disconnect them from the AE network, but there are many future release plans that I have and one of them will include more options with the lights. If you have any suggestions, comments or bugs please post and ill see what i can do. Addons to the lights, add things like Backup Batteries, and Anti-Mob Spawning (like the Magnum Torch). Added a 20AE battery to the lights, this way when the grid updates the lights wont flicker, light will be powered by battery for just a few seconds. Fixed the right click issue, now you can right click on the block and it will work as normal. If you right click with nothing in your inventory it will show the battery power (if you are not using WAILA). I don’t have any spotlights at the moment, if you are interested in creating one for my mod let me know,. I will probably do a spotlight once it is more completed. All the lights require Lux Dust as part of their recipe. 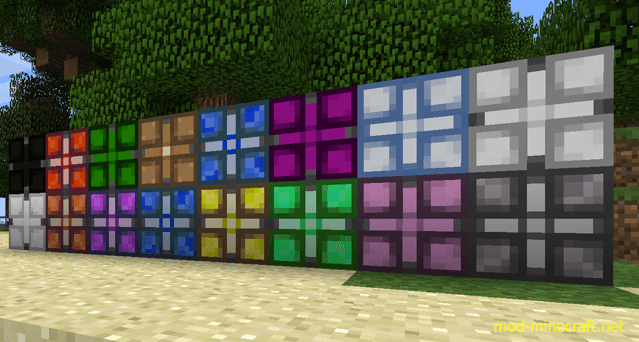 You can create 2 Lux Dusts with 1 Redstone Ore, 1 Glowstone Dust, 1 Nether Quarts Dust, and 1 Certus Quartz Dust. This is a shapeless recipe. The lights require 4 Lux Dust, 4 Quartz Glass, and the Dye of your choosing. The color of the dye that you use will determine the color of the lamp. You will get 6 lamps from this recipe. The configuration file will automatically be generated and put into the config folder. The config file will allow you to change the Light Block ID and the Lux Dust ID if there are conflicts with other blocks. The ID’s should automatically change if there is a conflict. Also the configuration option will allow you to change the amount of power draw the lights have on the AE network. Changing this to 0 will disable them from drawing any power.